As part of their overall strategy to provide transit planning tools to state transit agencies and to leverage the databases developed within TBEST, FDOT has enhanced the TBEST framework with an automated toolset which supports FTA requirements for Title VI service equity analysis and documentation. The TBEST Title VI Analysis toolset leverages existing TBEST network and socio-economic data to produce customized maps and reports for inclusion in Title VI documentation. The multi-purposing of TBEST data minimizes the agency effort for Title VI data collection, data analysis, report configuration and map production. 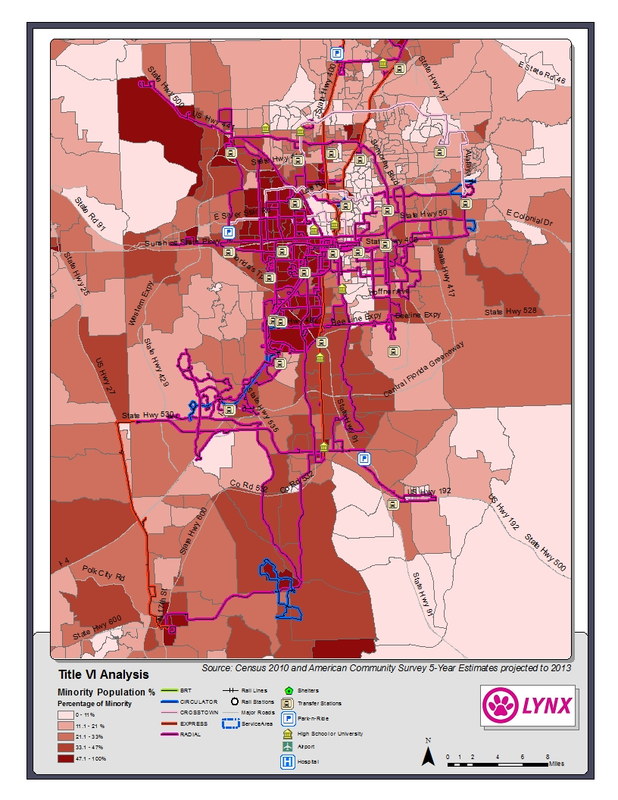 The TBEST Title VI Analysis tool supports FTA required service equity analysis by identifying minority routes, summarizing minority, low income and limited English proficiency (LEP) populations, and providing service level summaries in both map and tabular formats. TBEST Title VI Analysis maps and reports support both the full triennial FTA Title VI evaluation and any required interim evaluations in response to major system service changes. 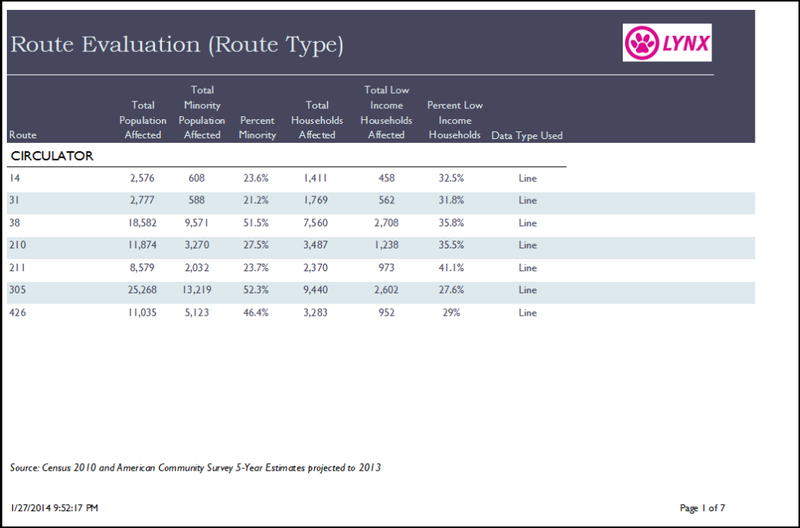 The TBEST service equity analysis toolset does not support ridership segmentation by minority or low income populations. TBEST allows a streamlined approach to Title VI analysis through a wizard-driven setup and pre-formatted reports and maps. Users can prepare equity investigations for multiple service modification scenarios.